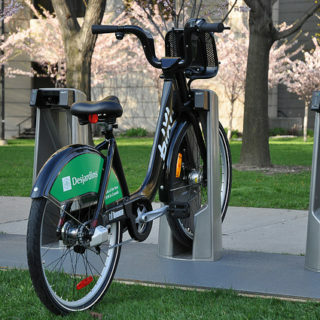 Philadelphia and Indianapolis are both cities that have publicly available park spaces, and as such an opportunity to make the bike share connection. 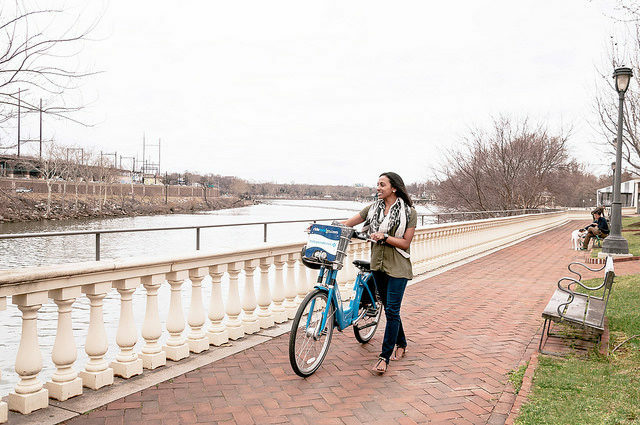 In Philadelphia, the William Penn Foundation has given over $2.5 million to the Indego bike share system since 2009 to expand access to natural spaces such as waterways. 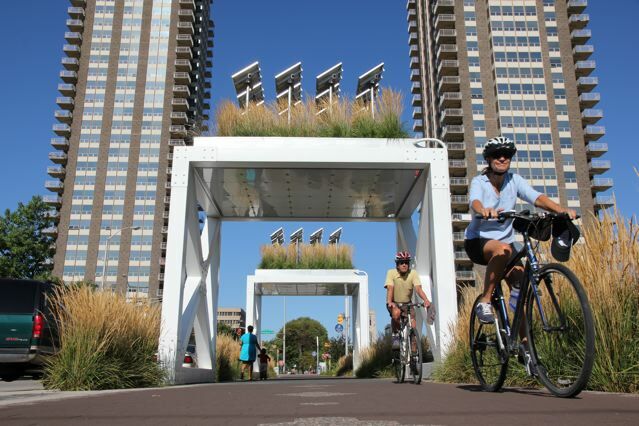 In the Midwest, the Indianapolis Cultural Trail connects residents and tourists to the amenities of downtown, as well as to a series of parks along the circular route. Particular to Indianapolis is the fact that bike share and bicycling infrastructure evolved together as the trail was introduced. 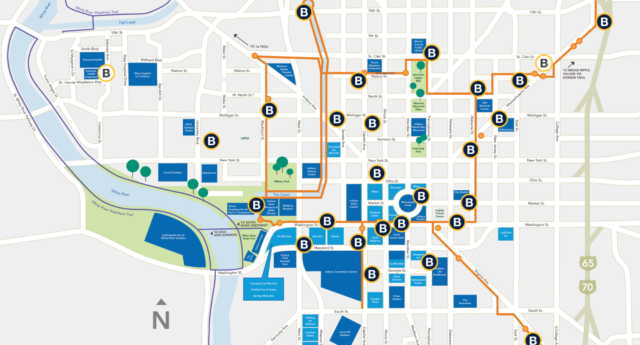 Indianapolis bike share map. Source: Indiana Cultural Trail. 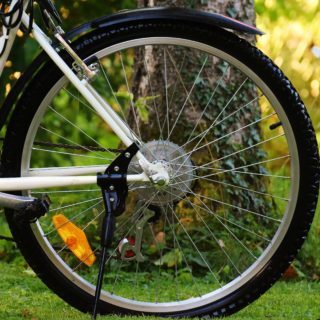 The William Penn Foundation saw their bike share grants as a way to help Philadelphians make the most of natural resources they already have. 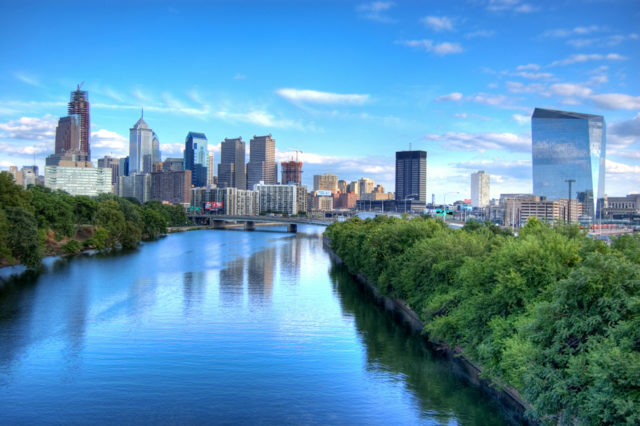 Philadelphia skyline. Source: Ed Yakovitch. In addition, there are scientific reasons for why expanding access to green space is a good idea. In a prior post, we shared how even being surrounded by the color green while exercising can promote positive mood. Creating access to great public spaces is particularly important when considering goals for equity and inclusion. The William Penn Foundation has looked to achieve those goals through funding new Indego stations in Philadelphia, many of them close to neighborhoods and parks. They are also funding marketing and community outreach activities, as well as an operational sustainability plan for the system. 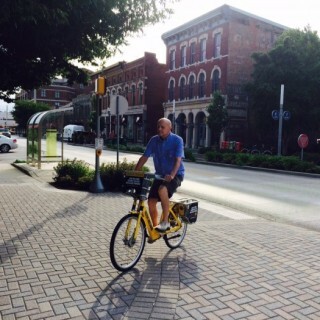 The Indianapolis Cultural Trail has the Everybody Rides program, a partnership with the Indianapolis Housing Authority, where subsidized passes were piloted at two downtown facilities. While the regular annual membership cost for bike share is $80, those in the pilot pay $10. Recently, Indianapolis has also expanded the discount rate to veterans through the Hoosier Veterans Assistance Foundation and other groups. Haley says bike share stations are particularly important for veteran-serving organizations to help them access clients. Indego bike share in use at a park. Source: Darren Burton. As Philadelphia continues to run its bike share stations in low-income areas, the William Penn Foundation says that ongoing community engagement in those areas will be critical. They are impressed with the initiatives that have been undertaken thus far. Additionally, the 2020 operational sustainability plan will be a potential opportunity make the open space connection even stronger. In Indianapolis, sustainability is a continuous goal as well, with fundraising for maintenance being a high priority.